The deadline for applications for Fall admission is January 1, 2019. An open house for prospective students will be held in early March 2019. Visiting the department at other times is also encouraged; please contact gradinfo@physics.orst.edu. 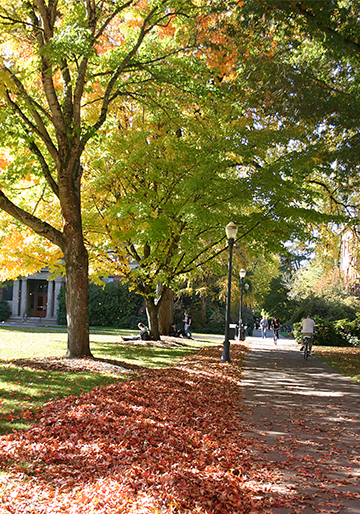 Applications for admission to Oregon State University's graduate programs are administered by the Graduate School. You will find the list of requested materials and the applications procedure at the OSU graduate admissions website. Three letters of recommendation will be required. Note that international students submit a different application form than domestic students. Under special circumstances, international students may mail applications directly to the Department of Physics. Please contact the department to see if you are eligible. International applicants and applicants who did not receive a degree in the U.S. must demonstrate English language proficiency by meeting these minimum scores: TOEFL Paper: 600; TOEFL iBT: 100; IELTS: 7.0. Further details are available on the OSU graduate admissions website. - your potential to be a successful teaching assistant. - your vision for your future career in science, technology, business, teaching, law, etc.